As with many other first times in life, I was mostly excited and a little bit scared. Before the big moment, I imagined that a gazillion silly thoughts would run through my head. How long will it last? Can I film the entire thing? What if the balloon pops? Is it worth it? But I had none of them. While you’re probably thinking about another equally enjoyable activity (LOL), I’m talking about hot air ballooning. It was my first balloon ride. To my surprise, all worries evaporated as soon as we rose an inch off the ground. There was just no room left in a mind already filled with awe. As we went higher, the view revealed more of the surreal landscape. I had to hold my jaw in place, lest it drop to the snow-white hills below. To this day, Cappadocia remains the most magical place I have set foot in. 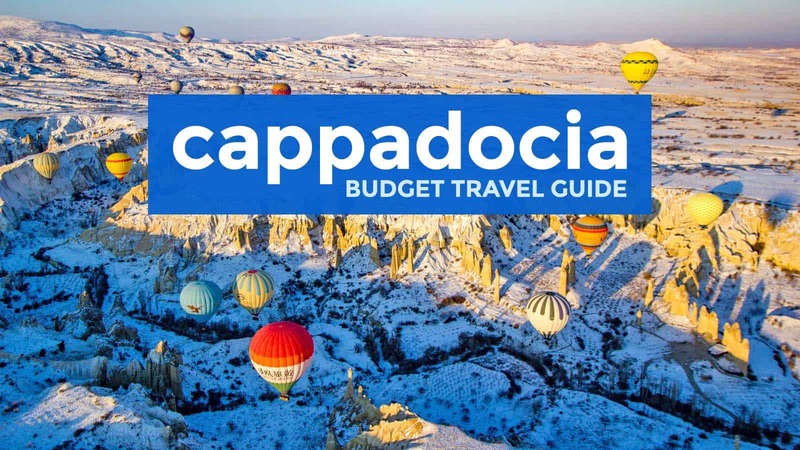 When is the Best Time to Visit Cappadocia? In the Roman era, at around 330 BC, these spires and other mountainsides are then carved into dwellings and churches by early Christians who were escaping persecution. Many of them even built underground cities, some of which are still accessible and open to tourists. Today cave houses are premium accommodations in town centers in Cappadocia. Cappadocia is made up of the provinces of Nevşehir, Kayseri, Aksaray, Niğde, and Kırşehir. 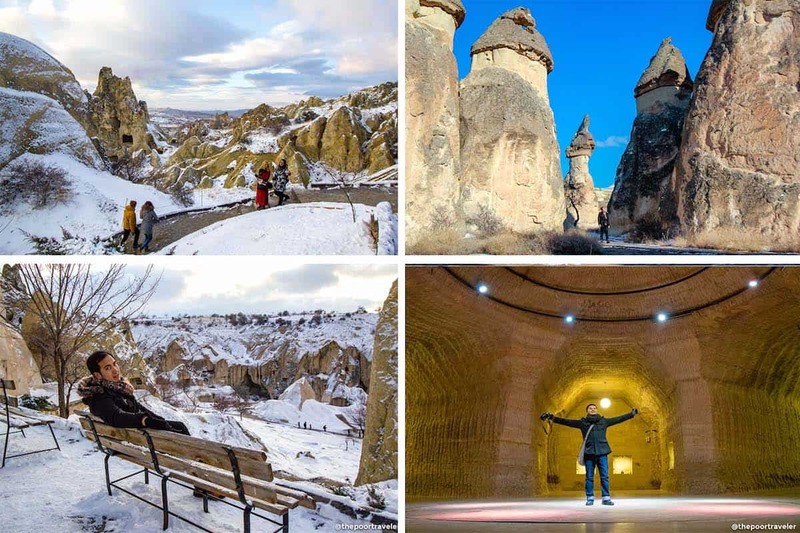 For tourists, Nevşehir is probably the most significant because it harbors Cappadocia’s biggest cities and tourism hubs: Nevşehir (the capital city), Göreme, Ürgüp, and Uçhisar. Here are some important practical bits about the region! Language: Turkish. A part of the population speaks Kurdish, but the vast majority speaks Turkish. 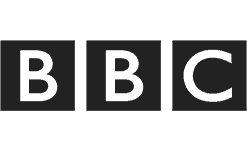 It’s not as intimidating because they use the familiar Latin alphabet. English is also widely spoken. Currency: Turkish Lira (TRY, TL, ₺). TL100 = USD 26.4, EUR 22, PHP1318 (as of December 2017). Some establishments accept the euro, but it would be best to pay in lira because the euro rate is usually costlier. Modes of payment: Cash. Although some establishments accept credit cards, Turkey in general is still a cash country. Safety. Is it safe to travel in Cappadocia? YES. There has been no major incidents in the region, if you’re worried about those. Some tour agents will try to persuade you to try certain tours that are actually more expensive or some taxi drivers may refuse to use the meter, but that’s just about it. But as always and as in any other destination, you must remain cautious and use common sense. Electricity Info: 220V, 50Hz. Socket Type F. It’s the socket that is indented into the wall and accepts plugs with two round prongs. According to the locals we talked to, the shoulder months of March-May (spring) and October-November (autumn) are the most ideal, because the temperatures are comfortable and the crowds manageable. But it still depends largely on why you want to visit Cappadocia. “Most tourists come to Cappadocia just to ride the hot air balloons,” our pilot Suat Ulusoy shared proudly. 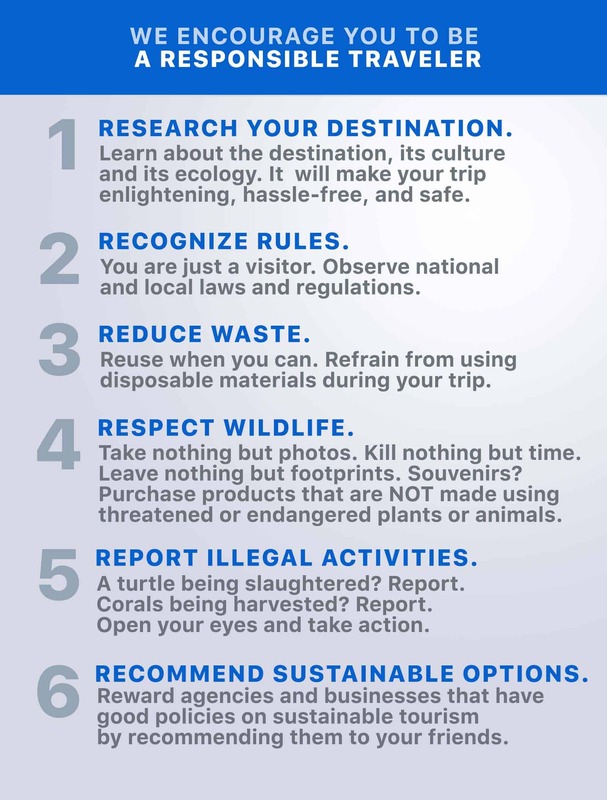 And if you want to visit for the same reason, there are more factors to consider. Flying balloons for over 20 years, Suat is the most senior pilot in Cappadocia. “Not by age, but by experience,” he clarified. 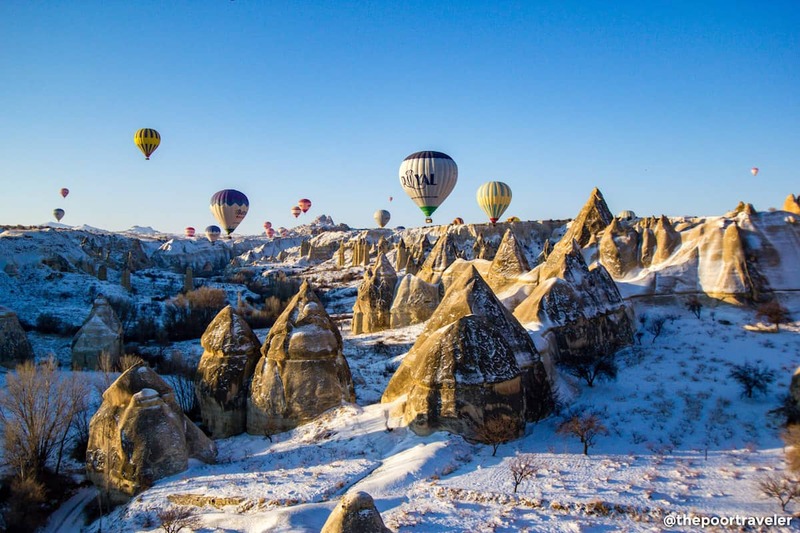 For him, Cappadocia is most beautiful in winter, when the hills and fairy chimneys are snow-capped. The white dust adds a surreal, magical texture to the already rugged landscape. 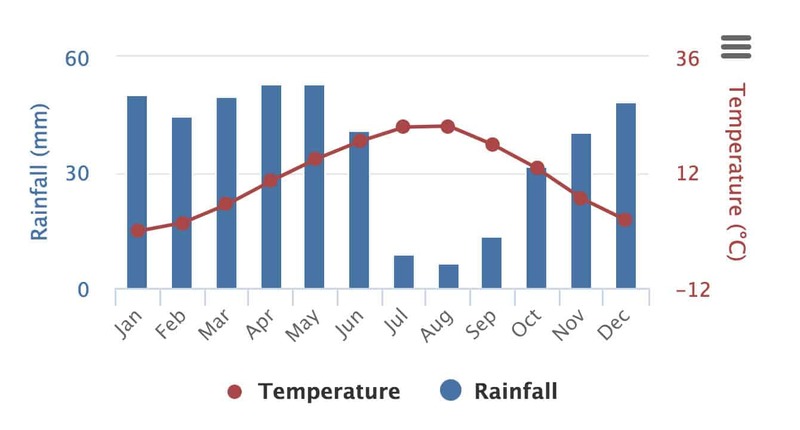 The only downside, he said, is that the weather from January-February can be unpredictable, and there’s a chance the flight would get moved or cancelled. We arrived in Cappadocia in February, and it was snowing the whole day. But it stopped the next day and didn’t snow for the rest of our trip. I guess were lucky. For this reason, summer is the safest choice for those who wish to ride the balloon. The summer months of June-August may be too hot, too crowded, and a bit more expensive, but you are almost always guaranteed to fly. Winter wonderland! 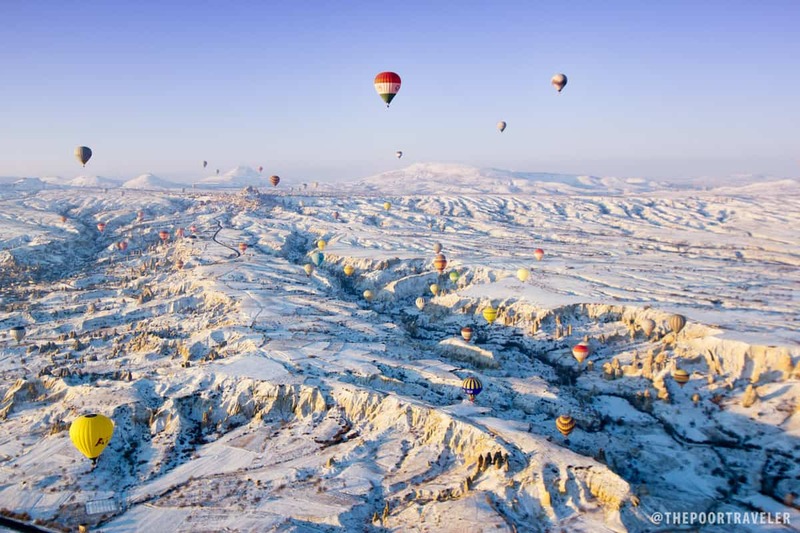 Cappadocia when covered in snow. If you’re flying to Turkey in winter (say, you’ll be in Istanbul or Ankara for whatever reason) and you’re contemplating whether to go to Cappadocia, I would still highly recommend that you go. Yes, there’s a risk of not being able to ride the balloon, but if you do, I promise you that the views will be fantastic. Besides, Cappadocia has way more to offer. These rock formations can also be explored and enjoyed by joining land tours, and they are as wonderful up close. If you have a valid visa or residence permit from the US, UK, Ireland or any Schengen country, you may apply for a visa online (e-visa). It’s fast and easy. Proof of accommodation (hotel reservation). 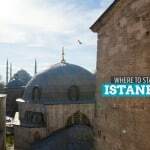 Funds of at least USD 50 per day of your stay in Turkey. If you’re not holding a valid visa from any of the mentioned countries, you will have to apply for a physical sticker visa at the Turkish Embassy or consulate in your area. The application starts by filling out this form: Turkey Visa Application Form. Although you can also reach Cappadocia from other parts of Turkey by bus or by train, the easiest and fastest way to get there is by plane. Cappadocia is served by two airports: Kayseri Erkilet Airport (ASR) in Kayseri and Nevşehir Kapadokya Airport (NAV) in Gülşehir. Nevsehir is a bit closer to Goreme, but the difference isn’t much, both taking less than an hour. From Istanbul. Turkish Airlines offers flights to both Kayseri and Nevsehir from Istanbul Atatürk Airport and Sabiha Gökçen Airport. Pegasus Airlines fly only from Sabiha Gökçen. 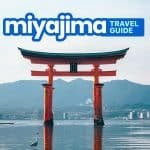 Fares are usually around USD 25 per way or USD 50 roundtrip. Some roundtrip journeys can go as low as USD40 or as high as USD 65. But it often just falls within that range. From Manila. 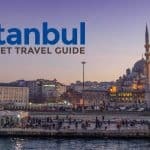 Your best bet is Turkish Airlines, which will have a layover in Istanbul. It will take you there the fastest and the most cost-efficient. The entire journey can take around 18 hours including the transfer time, assuming there’s no delay. Year-round fare is around USD 1400, but can still go down if there is a promo. Another way of doing it is to fly multiple legs, usually stopping in Dubai or Kuwait. But this involves multiple airlines and might entail transit visas if you’re checkin in bags. Travel is also much longer and more tiring. Within the region is an area called Central Cappadocia, which is composed of the towns of Goreme, Urgup, Avanos, Nevsehir, Uchisar, Ortahisar, and Cavusin. This area lies in between the two airports. Kayseri is situated 1 hour and 10 minutes to the east, while Nevsehir 40 minutes to the west. First of all, ask your hotel if they offer airport transfers. Most hotels do in summer/peak season. If so, inquire if it’s for FREE or for a fee. If it’s for free, then arrange one for yourself. Make sure to take note of the name of the contact person and phone numbers. If for a fee, ask how much. If it’s higher than 30TL or , forget about it. Just book a seat on a third-party shuttle. I’ll explain why below. If they don’t offer at all, that leaves you with three options: by public bus, by airport shuttle, or by cab. 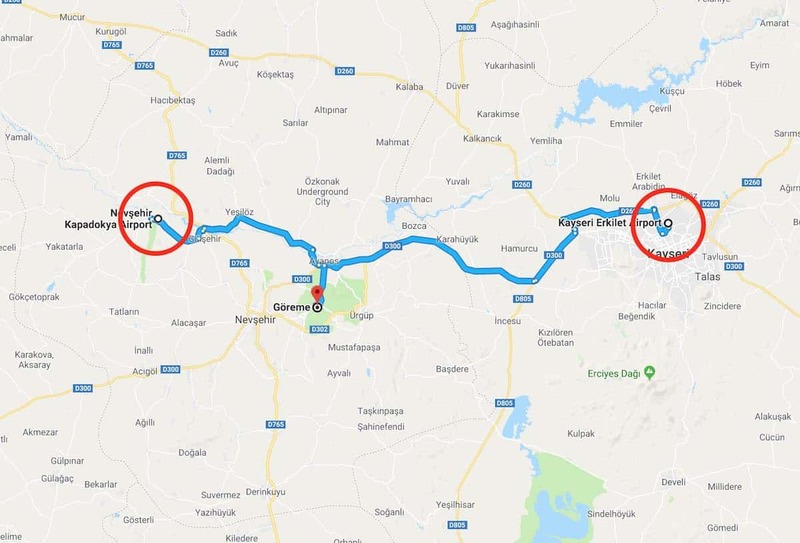 There are no public buses that go straight to Goreme from either of these airports. But you can take the bus to the town proper (Kayseri or Nevsehir) and then transfer to another bus from there to Goreme. However, the schedule is pretty erratic and you may end up waiting for hours. If you’re scheduled to arrive at night, that’s even more problematic. There are several transfer companies that carry passengers from the airport to Goreme and other towns in Central Cappadocia. However, you must book in advance. Without prior reservation, you will not be allowed to get into the vehicle even if there are empty seats. Not sure, but it could be because they have an agreement with taxi drivers? I dunno. But bottomline, if you’re not on the list, you won’t be entertained. The good news is, you can book online. Here are the companies you can contact. Most of them will take you to your hotel. But please double check with them to be absolutely sure. Make sure you have communicated what your flight number or schedule is because they will be waiting for you at the airport with a sign. Taking a cab to Goreme is expensive. It only makes sense to take it if you’re a group of 3 or 4, splitting the cost. But here are the usual fares. If you’re traveling alone or as a pair and you failed to reserve a shuttle beforehand, try to approach other solo travelers to form a bigger group of four. You can negotiate with the driver or insist on using the meter. As mentioned earlier, Central Cappadocia is composed of the towns of Goreme, Urgup, Avanos, Nevsehir, Uchisar, Ortahisar, and Cavusin. But out of all these, Göreme is the most ideal base for visitors because of the number of cave accommodations, restaurants, and shops. Most of the key attractions are also easily accessible from here. If you can, stay in a cave room or a cave suite, or a place that provides a rooftop viewing deck. Here are the usual price ranges of accommodations in Goreme and Urgup. Note that the rates below are in EURO. The top property on Agoda is Karadut Cave Hotel in Goreme. Its cheapest twin/double rooms are at €20 per night. 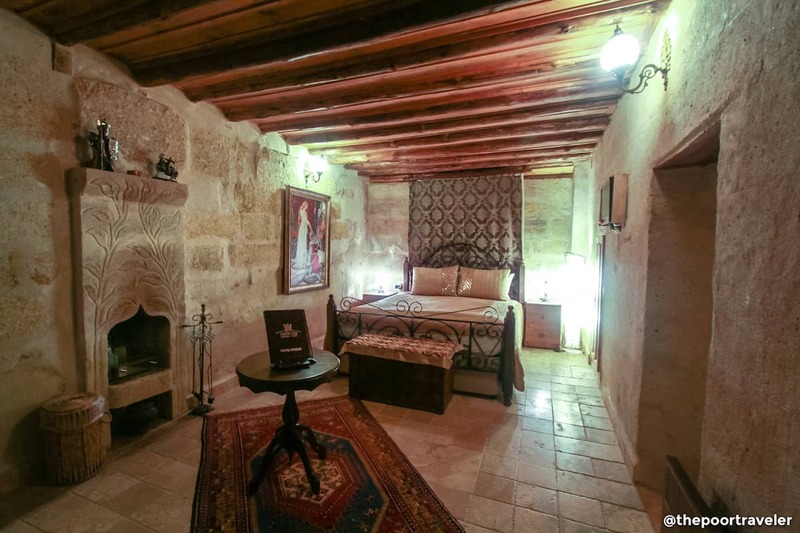 We stayed in a budget twin room at Historical Goreme House, which is at the town proper. The room and bathroom were clean and well-maintained, the service was excellent, and the location convenient. We spent only €25 per night. 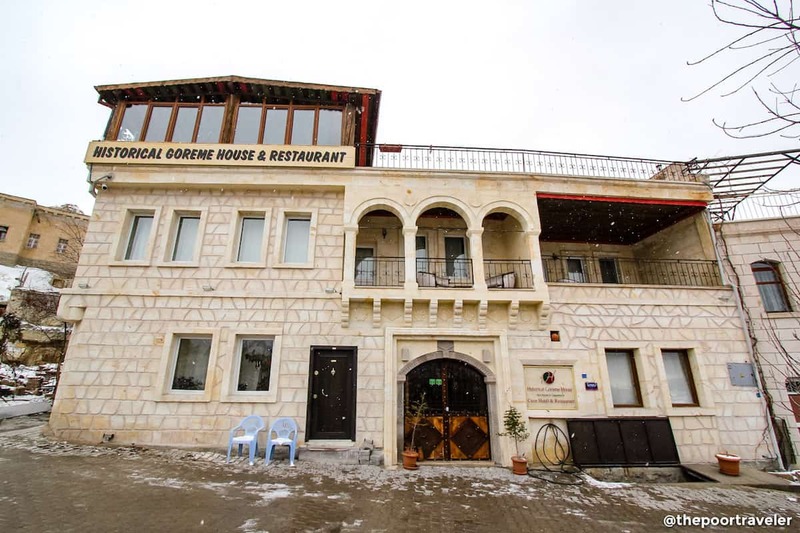 If you’re celebrating something special like honeymoon or anniversary, one place we strongly recommend is the luxurious Castle Inn in Ortahisar, near Urgup. The stay in itself is quite the experience. It would make you feel like you’re living in a real castle. Actually, we weren’t supposed to stay here. 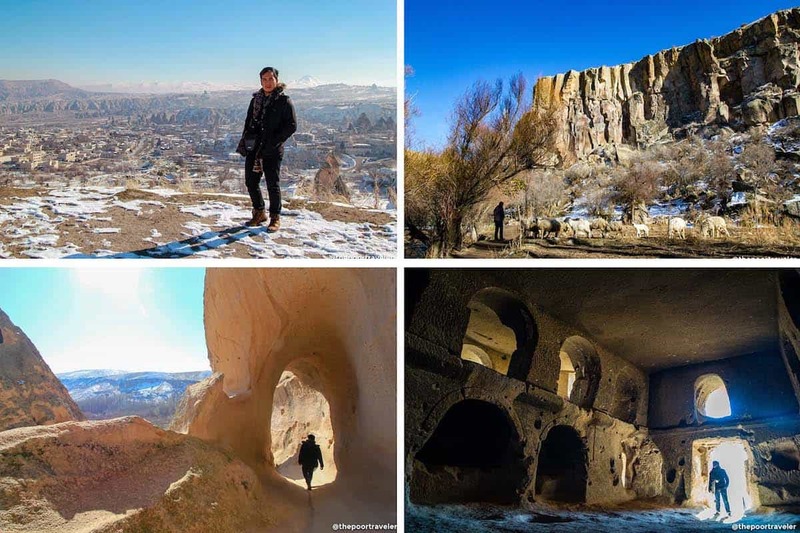 We were already booked with Historical Goreme House, but our friend Sabrina who had been here before gave such glowing recommendations that we had to see it for ourselves. When we arrived, wow. It was positively different from the other accommodations in the area! This upscale inn has thoughtfully decorated arch rooms and cave rooms with mini-fridge, spacious bathrooms (some with jacuzzi), and a rooftop terrace vista that is postcard-worthy. Each room also has its own wi-fi modem, ensuring speedy internet connection. And free breakfast! It’s also owned by one of the coolest guys we know, Suat Ulusoy, who also happened to be our hot-air balloon pilot. The price isn’t too far from the others too. Their budget room is only €50 per night. Cappadocia is vast and has a low population density. Public transportation options are quite limited, which may put a wrench to your travel plans. In fact, during our stay (off-peak season), we hardly saw any bus or cab. Locals drove their own cars, and there were not too many of them, either. We’re not big on hitchhiking but, thankfully, residents are very hospitable and warm that we were offered a ride a few times. This is why joining group tours makes the most sense in Cappadocia. Some key tourist spots are scattered so far apart that seeing just 5 or 6 of them can take an entire day. And true enough, standard packages here are all full-day tours! Three main tour types exist and they are color-coded: RED, GREEN, and BLUE. 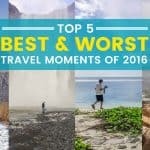 Numerous travel agencies offer these tours but they were not created equal. We booked our RED and GREEN tours with two separate operators, and wow, there’s a world of difference in the service between the two. The one we enjoyed was Cappadocia Exclusive Travel. The guide assigned to us was fluent in English and had great insights. Our group was also small — We shared the tour with only one other tourist — we didn’t have to wait that long for everyone. Most tours begin between 9-10am, which gives those who join a Hot Air Balloon Tour enough time to return to their hotel. 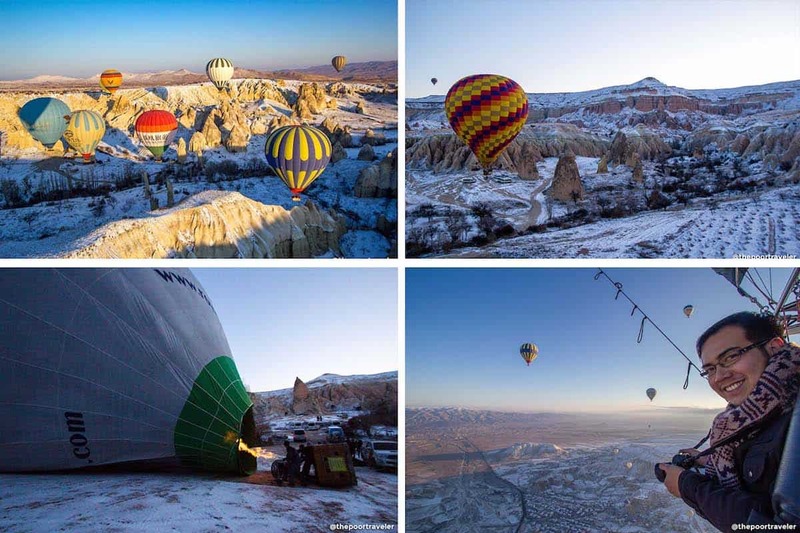 Over a hundred hot air balloons fly above Cappadocia every day in tourist seasons, operated by over 25 operators. Choosing where to book can be confusing because the range is so wide. Why? Because they’re not selling the same thing. Some run 60-minute tours, some 90-minute.  Some are pretty basic, offering just the flight. Some provide a free single-serving meal, some have open breakfast buffet. Suffice it to say that before you try to book anything, make sure you know the inclusions. On top of it all, our pilot Suat is a veteran and super knowledgable about the region. He has been flying balloons for over 20 years. The crew was helpful and funny, too! You can tell they enjoy what they’re doing. If we return, we’ll definitely book with them again. Address: Avcilar Mahallesi, Dutlu Sokak, No: 9, Göreme – Nevşehir / TÜRKİYE. 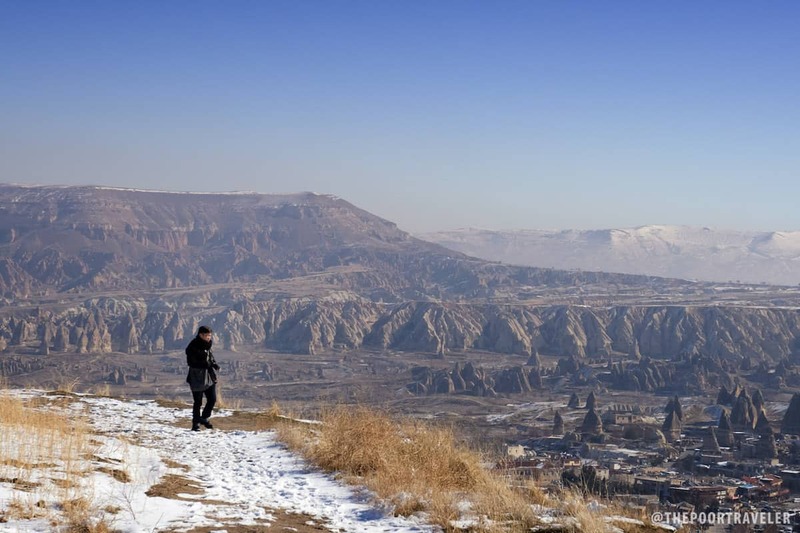 The Red Tour covers the northern lands of Cappadocia. This is the region’s signature tour. It will take you to the key tourist spots that are most commonly associated with Cappadocia: the fairy chimneys. There’s no shortage of rock formations on this tour. Its main highlight is the Goreme Open Air Museum. Here are the stops. Goreme Open-Air Museum. Rock pillars that were carved into monasteries and churches. Devrent Valley. Also for its fairy chimneys and moonscapes. Guray Ceramic (Avanos Pottery). Underground pottery museum and workshop. Three Beauties. the iconic 3 gigantic fairy chimneys near Urgup. Note that if you’re staying in Goreme, the Open Air Museum is just within walking distance. If you plan on joining the Red Tour, don’t visit it on your own. While the Red Tour is said to be the most iconic, the Green Tour is definitely my favorite. It covers a wider area southwest of Goreme and makes more diverse stops. While the Red Tour is mostly about stunning landscape views, the Green Tour takes you closer to (and even under) the sites, including a descent into the underground city and a hike along Ihlara Valley. Derinkuyu Underground City. One of the many labyrinthine subterranean network of caves used as dwellings by early Christians. Ihlara Valley. A 14 kilometer scenic hiking trail flanked with towering cliffs, some carved into houses and churches. The hike straddles only 3-4km, which usually starts or ends with traditional lunch. Selime Monastery. A rocky hill manually shaped into a monastery complex. Pigeon Valley. A photo stop with gorgeous views. Onyx and Turquoise Jewelry Factory. Honestly felt tourist trap-ish. If you could take just one tour other than the hot air balloon, make it this one. If you have an international driving license and you’re a group of 2 or more, the cheapest way to get around is renting a car. It also makes sense since, as mentioned earlier, attractions are so far apart and public transportation options are extremely limited. Several car rental companies operate in Cappadocia, with some available at the airport. Well-known car-rental companies like EuropCar and SIXT lend cars for as low as EUR 35 per day for a Renault Symbol (max. 5 pax, 1 suitcase). Local companies offer as low as EUR 20 for the same Renault Symbol car. We didn’t do this so we can’t give any more information about it. But these are the prices we saw while we were there. 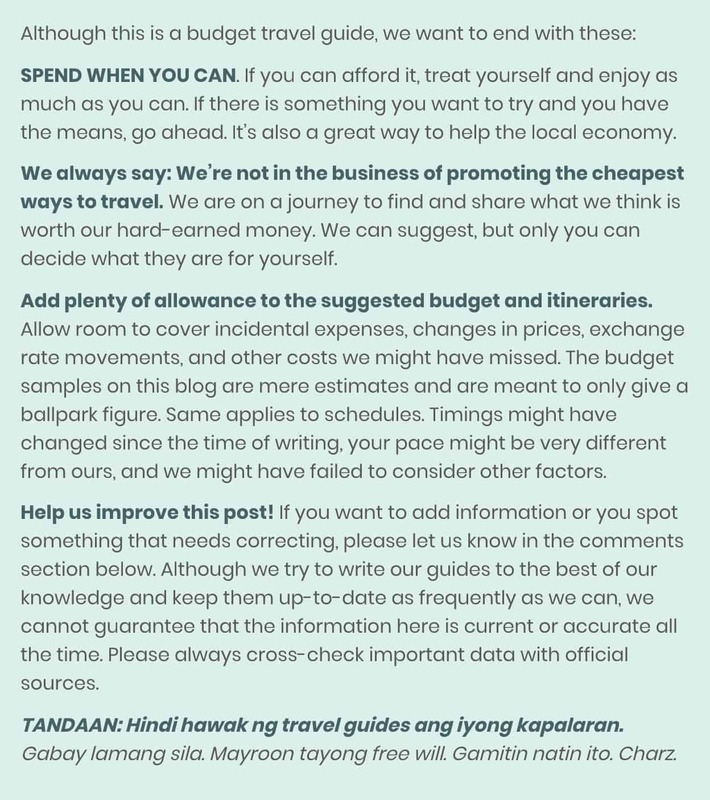 The total cost estimates are per person and do not include airfare. Please make the necessary adjustments depending on the season and other factors. For example, pick up time for hot-air balloon can be as early as 4:30am (in summer) to 7:00am (in winter). The goal is to catch the sunrise. Same with sunset viewing. This is meant to serve as a guide only. Try to book Turkish Airlines Flight TK 2006, which arrives in Nevsehir from Istanbul at 7:50am so you can tour immediately after arrival. Let the tour operator know so they could make the necessary arrangement. If you can’t make this flight or you feel like you’ll be too tired to tour on the first day, that’s fine too. 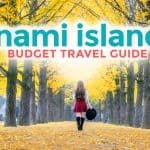 Just add one more day to this itinerary and adjust your budget to cover another hotel night and meals. Your food allowance is 25TL per meal. Trust me, that’s a way too much for an average budget meal, but it’s best to overestimate than under. You can be flexible with this. You may spend more than 25TL on a meal but make sure you make up for it by spending less on the next meal. We also usually skip breakfast and just have brunch/early lunch, but if you can find a hotel/hostel that serves free breakfast, that would be ideal. If you’re traveling solo and you stay in a bunk bed at €8 per night, prepare to shell out 1300TL (EUR286, USD345, PhP 17,200) excluding the airfare. 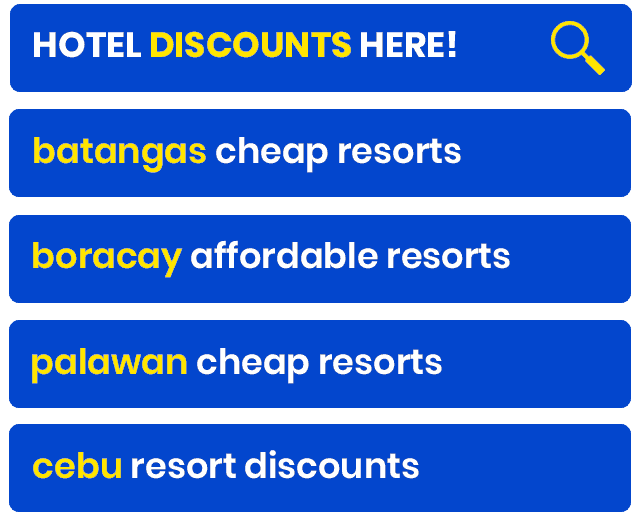 If you’re a group of 2 staying in a budget twin room at 115TL per night, this itinerary will set you back 1340TL (EUR295, USD355, PhP 17,800) per person. If you’re a couple on a honeymoon or celebrating anniversary and you stay at Castle Inn, this itinerary will cost you 1455TL (EUR320, USD386, PhP 19,250). Not bad, considering it already includes a hot-air balloon ride, which takes up the biggest chunk of the budget! Try pottery kebab, which is popular in Cappadocia. It’s a stew sort of dish that is cooked in a clay jar. Dine at homes that are open to tourists. 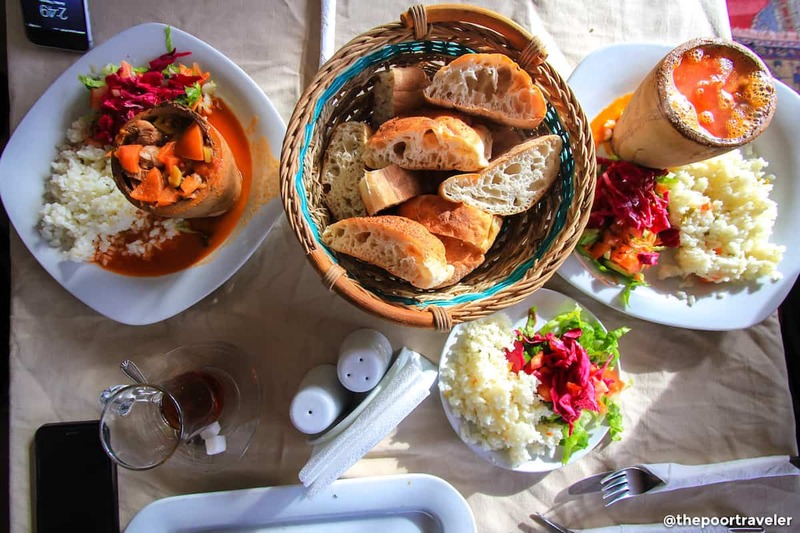 While walking around, we found a couple of houses that serve lunch or dinner at a much lower price than at restaurants, yet it was our best meal in Cappadocia. It was also a great experience being able to talk to locals in their own home. Tipping is up to you. If you don’t like the service, you can skip it. But if you do, 10% is sufficient at restaurants. For tour guides, we tipped 20-30TL. Such a useful post. I’ve always wanted to take a hot air balloon ride there. Apparently the local cuisine is supposedly fantastic too which I can certainly believe. Yep, that’s possible. But know that Istanbul and Cappadocia are 8-10 hours apart by land. Hi Anne, yes, most companies accept lira. Generally, when we looked at taxi fares and other items, paying in lira always end up cheaper. But we’re not sure if it’s the same with balloon rides. where did you exchange your turkish lira? any suggestions? Hi Anne, we exchanged currencies in Istanbul, not in Cappadocia. Can you give me more info about the “dine at home” you did? I’d love to try it, thanks!! Hi Jay, we were just walking around and found some houses with signs that reads they serve lunch or dinner. We decided to try one. It doesn’t have a name because it’s just a house, but it’s along Hacı Derviş Efendi Street. if we stay at Castle Inn, they are offering the red and Green tour as well would you recommend that? 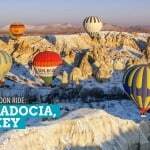 Or book these tours thru Cappadocia Exclusive Travel? Hi Elma, we actually booked Cappadocia Exclusive Travel through Castle Inn. They were their tour partner at the time. I’m not sure if that’s still the case now though. Ah ok, thank you Yoshke. 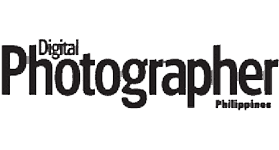 Awaiting your blog for Peru ! May I know which tour agency you booked your Red and Green tours? any reco? Hi Donna, I booked them with two separate agencies. The RED TOUR, I didn’t like the agency but I forgot the name. We were a big, big group. The GREEN TOUR, I truly enjoyed because we were just a small group. The name of the agency is Cappadocia Exclusive Travel. which airport shall i choose to arrive ..
and which average price hotel with hot air balloon is good to view ? Do you have check-in baggage for this trip or just hand carry? 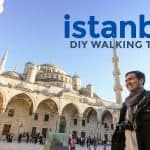 If you have check-in, does the domestic flight from istanbul to cappadocia allow heavy baggage? Yep, we had check-in baggage. I don’t remember how much baggage allowance we purchased but I checked in a big backpack, probably less than 15kg.